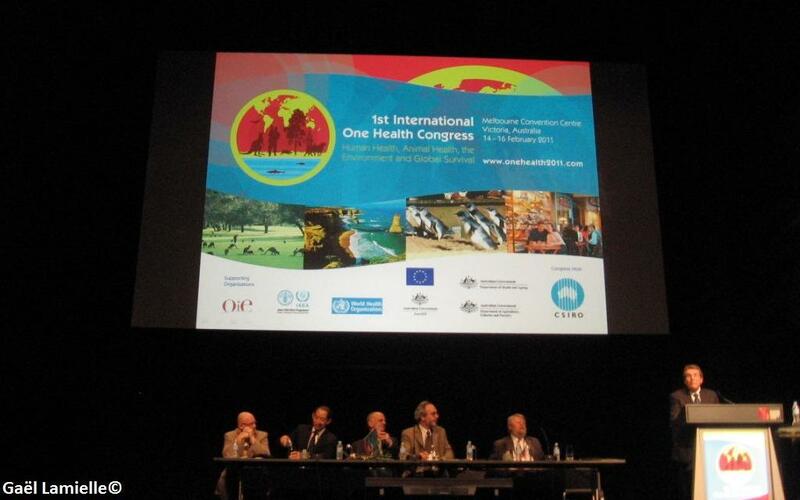 The 1st congress dedicated to the One Health movement was just held in Melbourne, from February 14th-16th, 2011 and attracted hundreds of health professionals from all over the world. 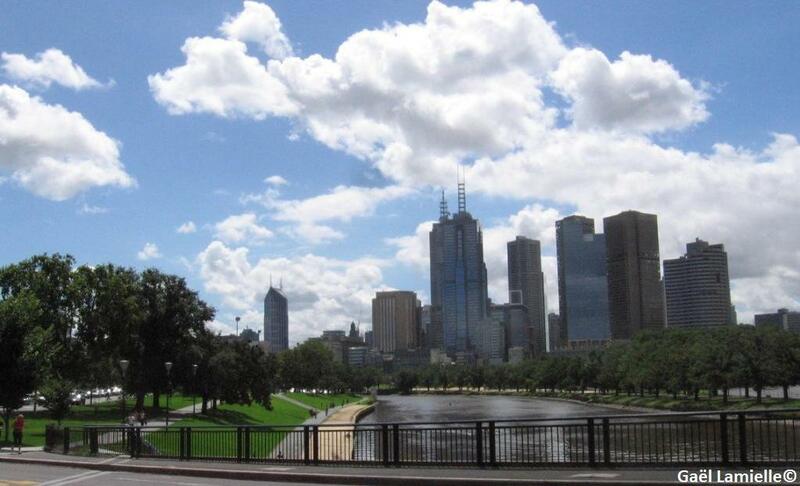 Melbourne amazed the attendees by its vibrant architecture, modern cityscape & lively citizens. 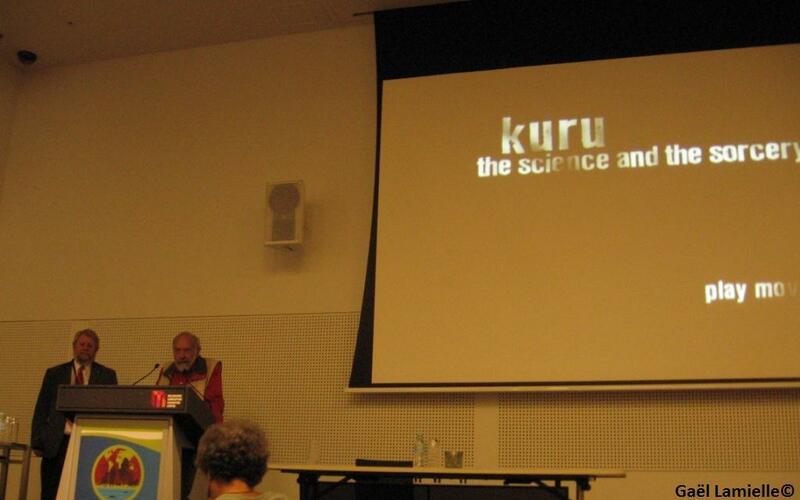 The congress was held at the Melbourne Convention Centre and offered its state of the art facilities to presenters. The opening ceremony acknowledged aboriginal culture and respect of nature through traditional welcoming dances, followed by a speech by Peter Doherty from University of Melbourne and first veterinarian recipient of the Nobel Prize for his works in microbiology. From there, the program was packed with lectures and talks representing the diversity of One Health, divided into plenary sessions and smaller box sessions addressing specific themes. Attendees reflected the diversity of the One Health movement and included many veterinarians, some human medical professionals, students, researchers and environmentalists. International organizations were also present such as the CDC, WHO, FAO, UN, WCS and USDA. 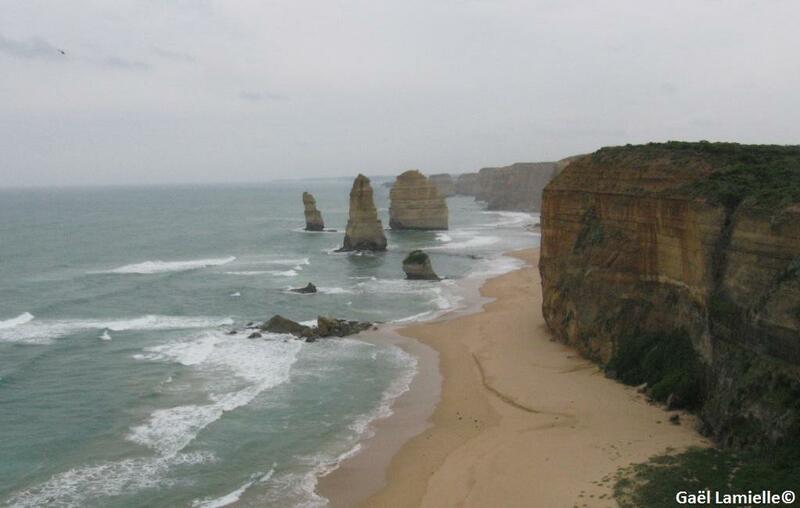 Finally, there was a significant representation from governmental bodies including the Governments of Australia, Canada, Thailand as well as the European Union. Western University was also very well-represented as they were 4 of us at the conference presenting on various topics. 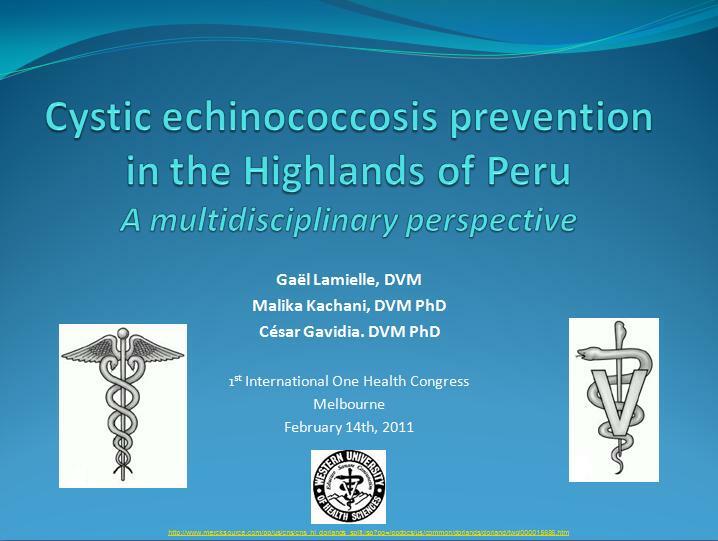 I presented on my work in Latin America (see previous post) entitled Cystic echinococcosis prevention in the Highlands of Peru – A multidisciplinary perspective, under the banner of Neglected Zoonotic Diseases. These diseases usually remain on the sidelines of international attention but still kill millions worldwide. They are often driven by social factors such as human practices, poverty or development and are the perfect example of how One Health can benefit communities afflicted by such illnesses. Other speakers provided us with practical examples of how the multidisciplinary approach of One Health has been applied from research to other health-related programs locally and internationally. An interesting discussion regarding the definition or scope of the One Health movement was initiated by Jørgen Schlundt of the Danish National Food Safety Institute, who pushed for a more restrictive definition of One Health to “reduction of human disease through prevention of animal disease in all ecosystems”. His arguments were valid in the sense that we need a clear and simple idea of how to describe One Health to others, including governments, media, sponsors or the public. He further developed that if we focus on a single theme and build credibility and acceptance of the One Health movement using this issue as a support or example, we may then branch out and include other perspectives, such as social and mental health or non-transmissible diseases. Others responded that definition of health varies across the geographical and cultural spectrum and that social components of health are inherently part of One Health. On this issue, I must say that I agree with both perspectives. One Health is indeed a very broad philosophy that can help us bridge and combine all aspects of global health, as it should be. However, I do have to side with Dr. Schlundt, to a certain extent. One of the recurring conclusions of the conference is that we need to keep the One Health momentum going. I think we all know in our hearts that One Health encompasses social issues, mental well-being and other non-transmissible illnesses. However, I also think that if this movement is to survive, we must simplify its meaning in order for others to understand it, and eventually support it. We must build a sort curriculum vitae for One Health to show the world what it has done as a movement and that such approach works. If we try to fix all of the planet’s problems at once, we will end up doing nothing and I am afraid that for the 2nd planned One Health congress to be held in 2 years time, we will be at the same place as today. Once we manage to build proper networks and channels and once One Health has become an established and respected idea, we can (and should) then expand its definition to other health-related fields. I do disagree with Dr. Schlundt, however, on the fact that, while zoonotic diseases are important, diseases affecting food safety and security should be included in this narrower definition of One Health (in fact, both fields often overlap). Hunger is one of the most important issues in the world today and One Health is the perfect platform to address it. Another idea that came through the congress is that One Health doesn’t belong to anyone and I urge those who feel that the One Health perspective applies to their work, even if it relates to non-communicable diseases or social issues, to go ahead and bring this philosophy to their projects. As a small animal veterinarian, I do feel that the human-animal bond does belong under the One Health banner and I will try to include it in my work whenever I can. I just don’t think that it should be in the priorities of the movement as a whole right now. No single approach can solve these “wicked problems”, however in order to do things right, we cannot rush things. I would personally like to see a roadmap of what One Health should accomplish in the near future and maybe some objectives that the movement will try to attain as a whole before we hopefully meet again in Thailand in 2013. We need to progress step by step and build a strong base before we can expand. This is the synthesis of my feelings towards One Health at the close of this first conference, and I am ever more motivated, especially now, to be part of it and see it progress and evolve over time. I welcome people’s thoughts or comment and hope for a constructive discussion so that we can have a clearer picture of who we are as a movement and where we should be heading. I also would like to thank the organizers of this congress Martyn Jeggo, John Mackenzie and their team for their tremendous work and for giving me the opportunity to meet and interact with so many others who are as passionate as I am about One Health.